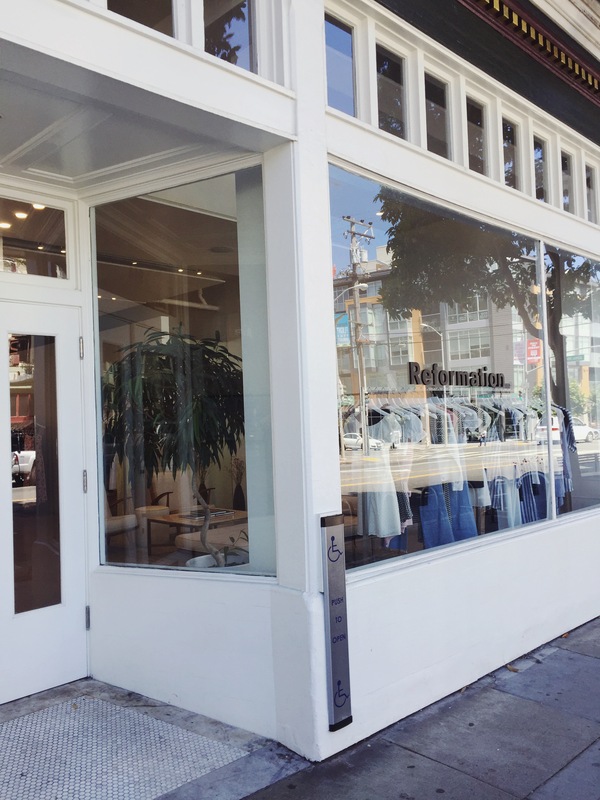 The last eco fashion shopping spot I want to share with you in San Francisco is Reformations new retail experience. It was brilliant. I wouldn’t call it revolutionary, but those little twerks to the usual physical shopping experience were quite brilliant and made it so enjoyable. When you first walk in the store you are greeted by a sales assistant and her smart phone. While browsing the clothes she will write down on the smart phone, which items you want to try on in what size. I forgot to take photos of the shop floor, but it’s light, airy and filled with beautiful eco-friendly clothes. Once you’re ready to try everything on you go to the dressing room area where you’re asked to sit and relax for a few minutes while they get your dressing room ready for you. I was first a little confused by this, because the girl in the dressing room didn’t leave to get anything. 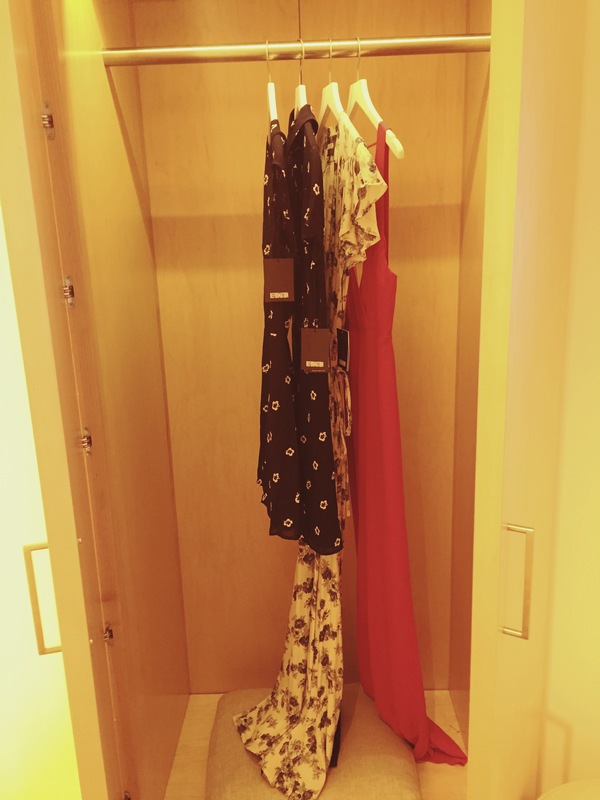 After a few minutes, she told me my room was ready for me and I was shown into a room with a closet, she opened for me, with all the items I’d asked to try on. 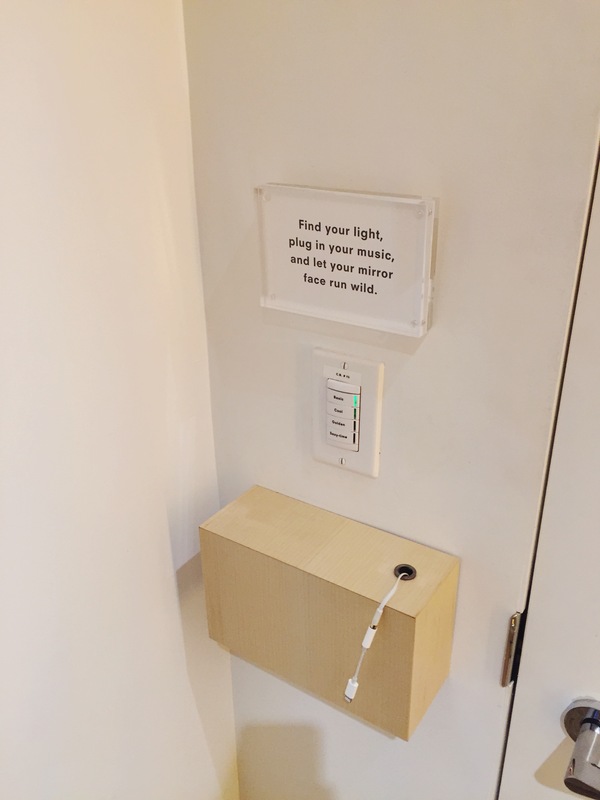 In the room, you could plug in your phone to choose what music you wanted to listen to and you could set the lighting to your liking. I really loved this part. I’ve so often tried things on in changing rooms that are either too bright or too dim. This was perfect. There’s also a big screen in the room with a selection of more items you could ask to try on. These were all small details, but they made a big impact on the overall experience. I also think this new retail experience allows Reformation to gather some quite comprehensive data on their garments and customers; which items do people often try on without buying, which do they need to try on in different sizes, how much time do they spend in the dressing room, etc. If used right, all this information can help the Reformation design team to design even better products to fit their customers’ needs.